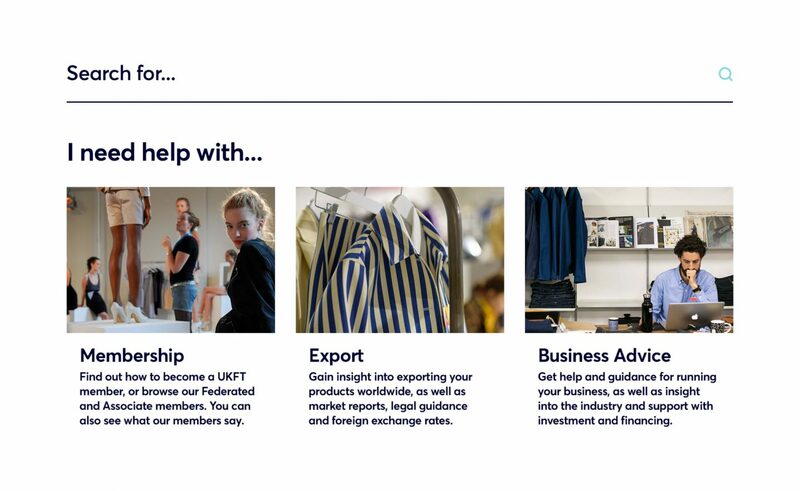 UKFT are the collective voice of the UK’s fashion and textile industry. 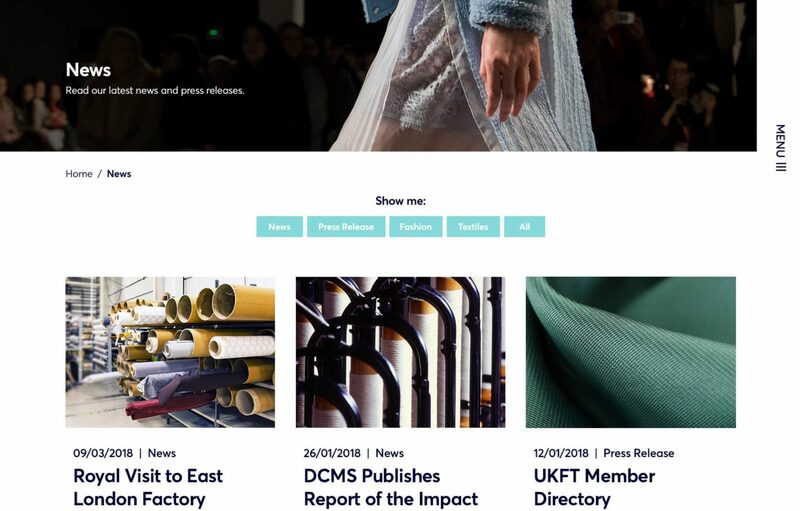 Bringing together over 2,500 designers, manufacturers, agents and retailers, they primarily help to promote these companies and the UK industry throughout the world. 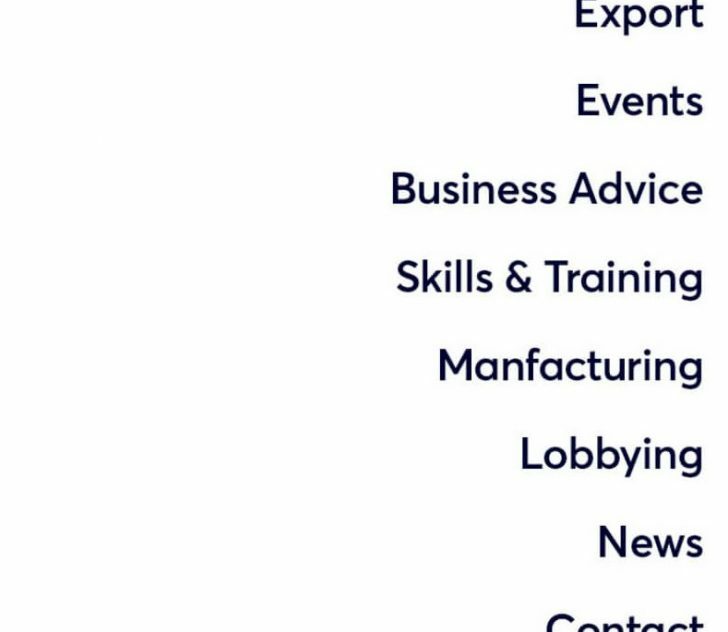 They also host a multitude of events and seminars and generate a vast amount of content. 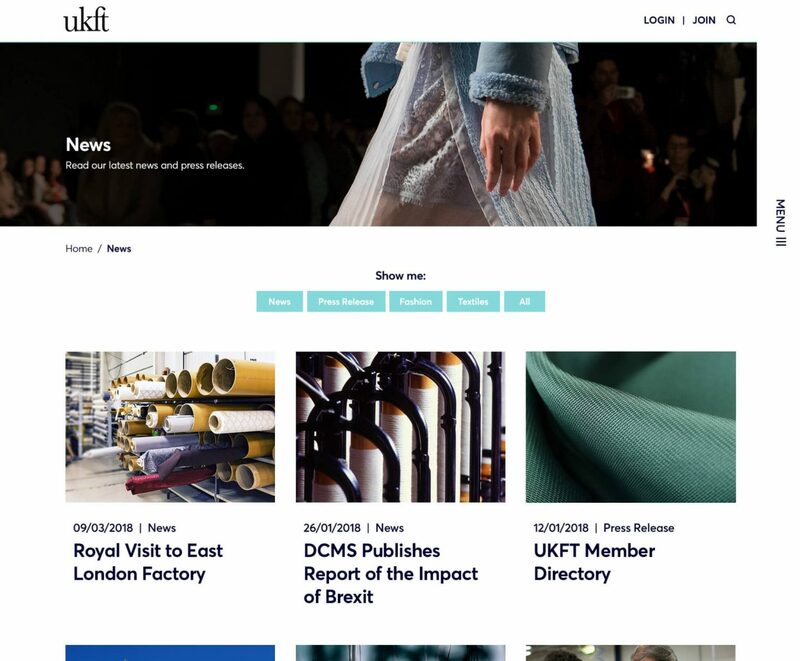 We were tasked with designing and developing a new website that would allows UKFT’s members to access information and downloads with speed, while also creating a unique experience that would reflect the creative element of UKFT. 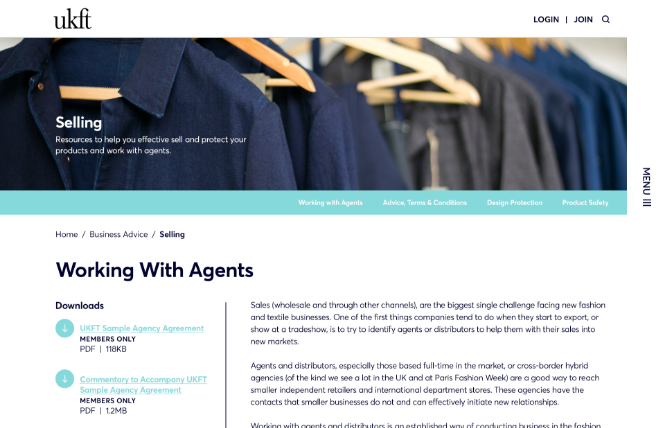 Ensuring users can access the information they need quickly was key to website’s success. 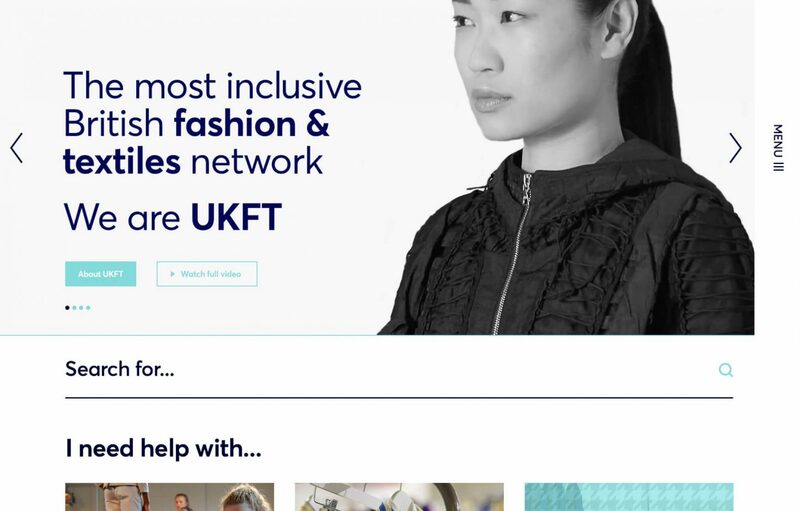 We began by working closely with the UKFT team to create clearly defined ‘sectors’ for their content. After we’d selected the core six, we then needed to ensure these were easy to navigate to. On-page search on the homepage allows users to search for anything they need to get rapid results. 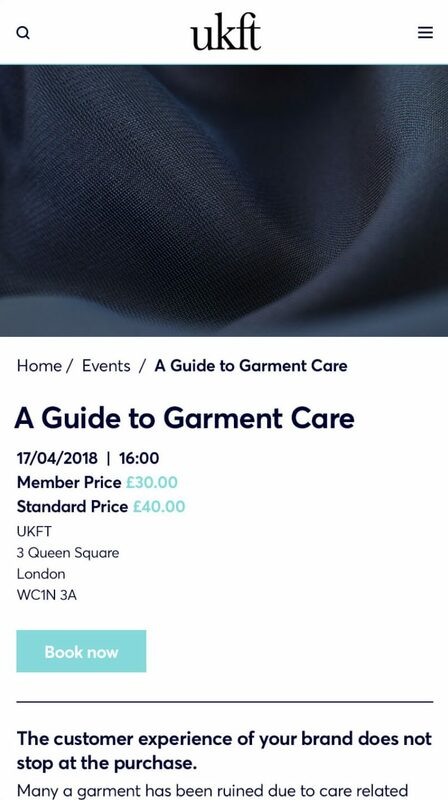 For the more casual user, sectors are accessible from the unique side menu, or via clear signposting on the homepage. 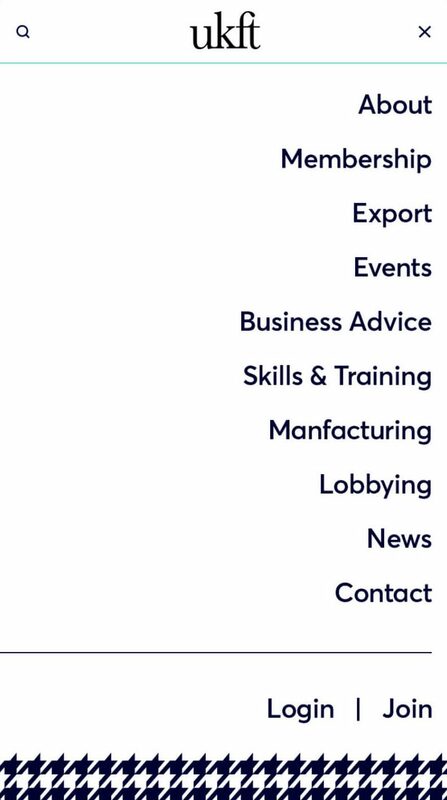 Each sector included a snippet of information to give each one a clear definition prior to the users clicking through. Giving a user this information quickly is important to ensuring a clear user journey. Being at the forefront of a design-led industry meant we needed to deliver a distinctive design. 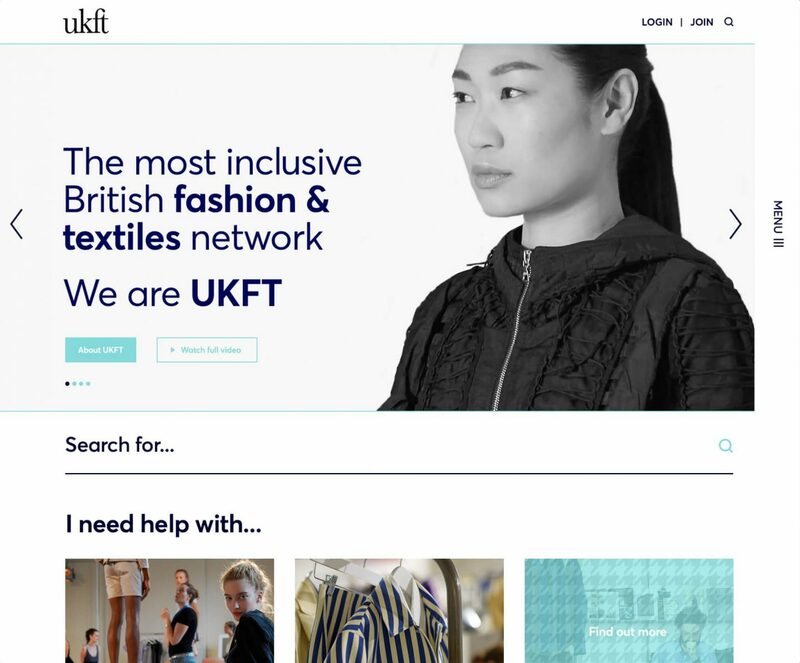 We picked apart conventional website elements and redesigned them in a way that allowed UKFT to stand out from the crowd. Downloads needed to be easy to access. 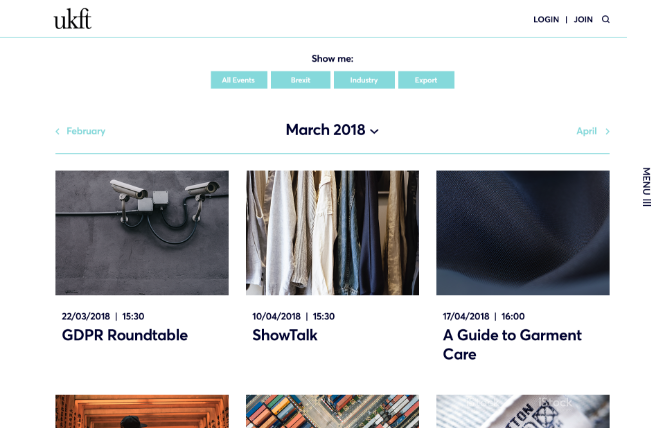 The previous site housed them below blocks of content, but a two column layout allowed the downloads to be accessed without scrolling through the content. 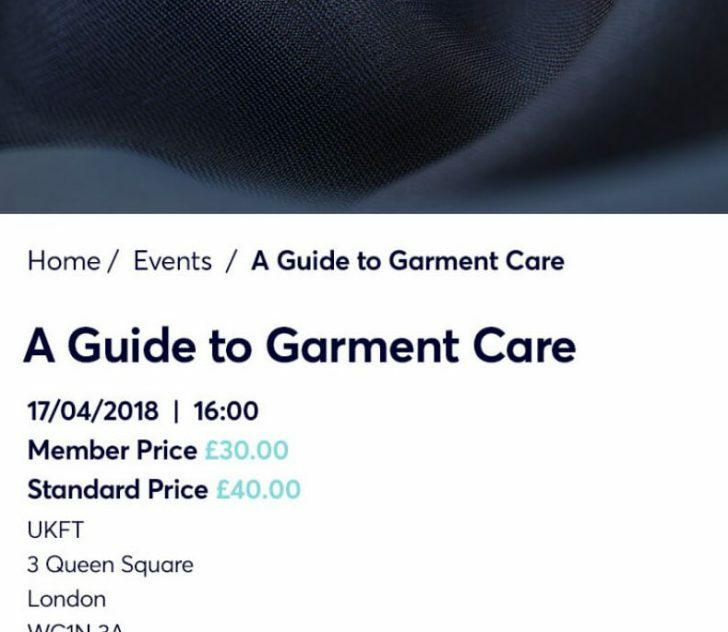 A bespoke events calendar was designed as a unique way for users to find UKFT events to attend. 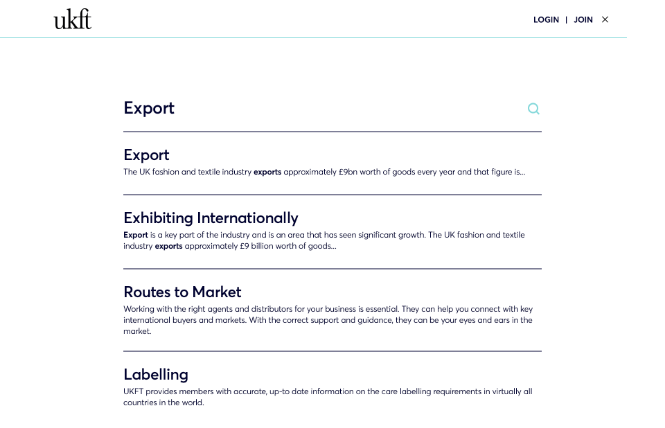 An intuitive search results page accommodates highlighting and snippets of on-page information to make access clear and easy.